If your player has been offered a roster spot and is new to Southeast Soccer follow the registration instructions for New Players listed below. If your player participated in the Fall 2018 &/or Spring/Summer 2018 season follow the registration instructions for Returning Players listed below. 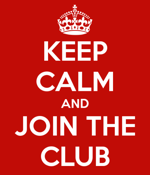 Club fee includes cost for Winter Training, which occurs in the new year, January - March 2019. Each registration will be charged $2.00 annual processing fee by Affinity Sports. This fee will only be charged one time annually. All participants will be charged the annual fee irregardless of payment choice: credit card, eCheck, cash or check by mail. Each credit card transaction will be charged 2.5% convenience fee. Online registration process will be through the MYSA SES Affinity website. Link is provided below this information. You will be re-directed to another site after clicking on the Affinity Link. 1. Photo of the player on the device you will be using. You will need to upload it when you register. This will be used for the player pass. If player has previously registered, you should be able to use previous photo. 2. Scholarships. If you are going to request a scholarship, you must request this through Claudia Motl, SES Club Coordinator, email prior to your registering. You will be given a special Discount Code to enter when you register. Without this you will be charged the full amount. 3. Payment. Be prepared with a credit card number or checking acount information at the time of registration. You will be required to have this information at the time of registration. Cash payment or mailing a check will be allowed this season but initial deposit and payment plan must be communicated with Club Coordinator. Player passes will not be activated without payment by the beginning of the season September 7, 2018. 4. Age Group & Team Name that your player will be assigned to. If you do not know it, ask your team manager or Claudia Motl, email prior to registering. Click on the REGISTER NOW link to the right. After clicking on the link you will be redirected to the SES Affinity Website. First time registers: Click on "Registration", in the upper right corner of the Affinity web page. Click on the link above to verify your child's correct age group. All new players will need to complete a Medical Release Form. Medical Release forms are valid for a year. January - December of the current year. Managers and Coaches should have a copy of the form during practice and games. After clicking on the link, you will be redirected to the SES Affinity Website. Returning Users: Click on "User Login", in the upper left corner of the SES Affinity web page (Link is to the right) - enter your user id and password and follow the steps. 2. "Print Documents" & sign the 5 required documents. Choose your payment method and finish the process.